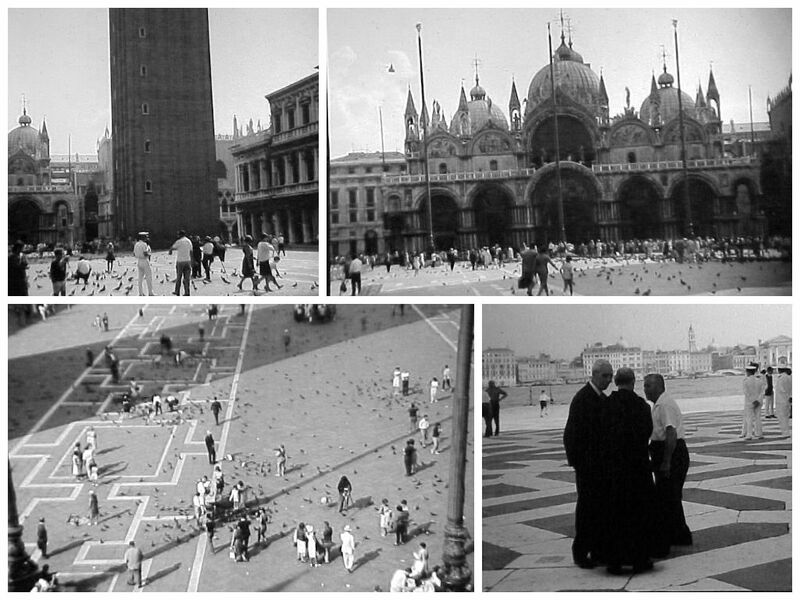 Piazza San Marco as seen in the mid to late 1960s. Things looked a bit different back in the day! 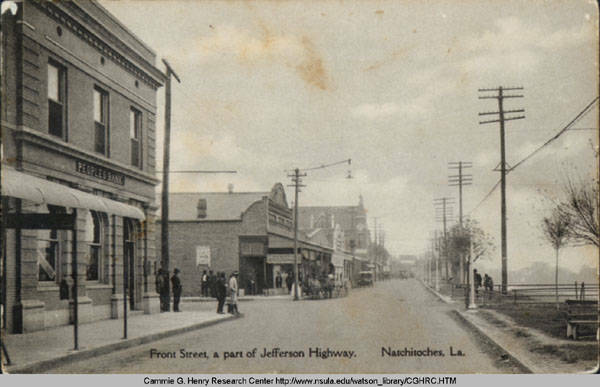 This photograph shows Front Street (a part of Jefferson Highway) in Natchitoches, Louisiana. In view is People’s Bank and McClung Drugstore. Traveling cross-country in 1985. This rocky terrain with its rugged beauty was quite a departure from the verdant Louisiana scenery I was accustomed to! In the vast openness of Utah, I felt as small as I appear in this photograph! Florence, Italy. 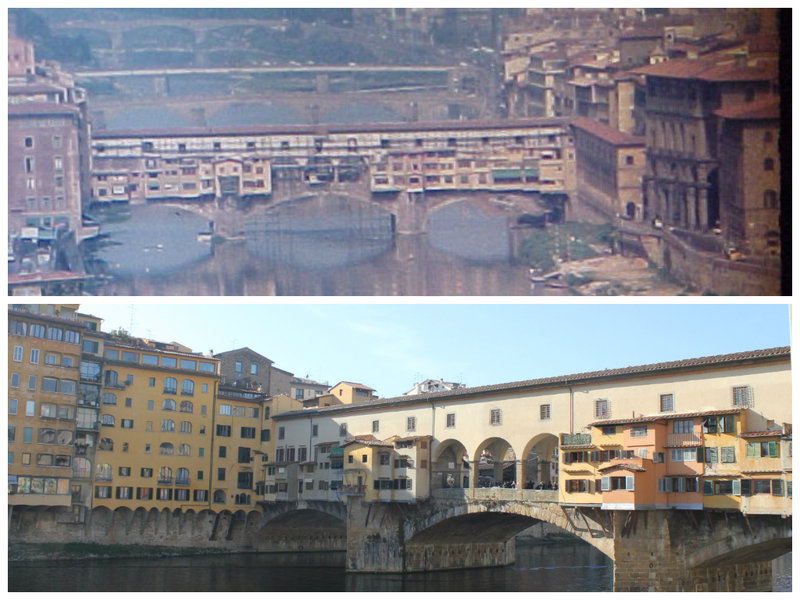 Times change, people change…but the Ponte Vecchio remains much the same. The top photo was shot by my dad in 1966 or 1967; the lower one by me in 2011. 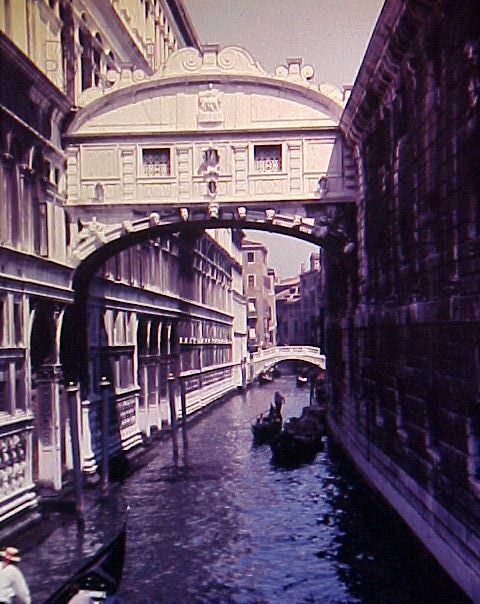 One of Italy’s greatest attractions for me is its constancy.